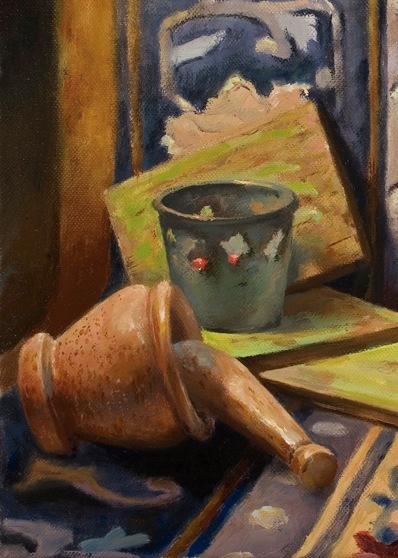 The original oil painting "Still life with Japanese Rice Carrier" by Jason Rafferty. 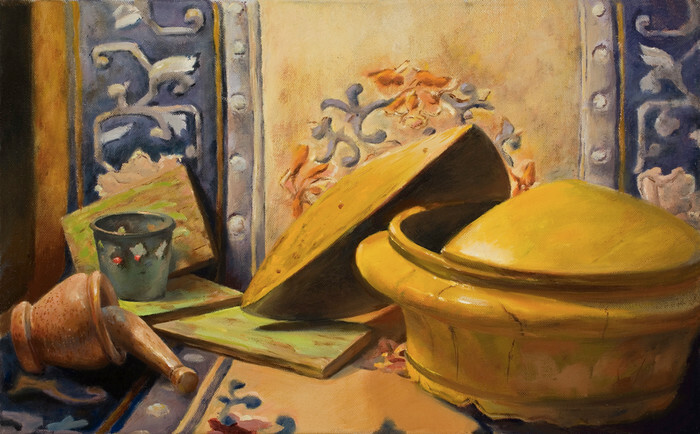 "Still life with Japanese Rice Carrier" is an original oil painting by Jason Rafferty. 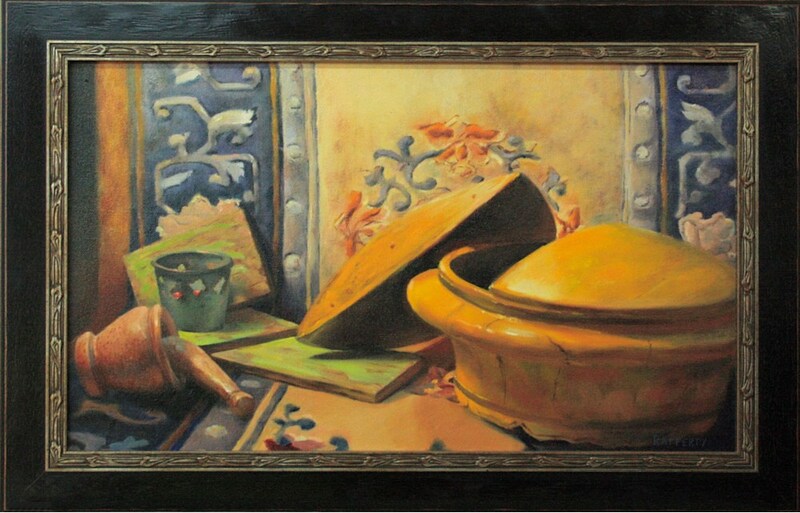 The media is oil on stretched canvas, and it measures 19 x 14". It was painted in Asheville, NC at Long Branch Studios, in the River Arts District. "This still life includes an ornate silk carpet, a mortar and pestle for spice grinding, a candle and an antique wooden japanese rice carrier." 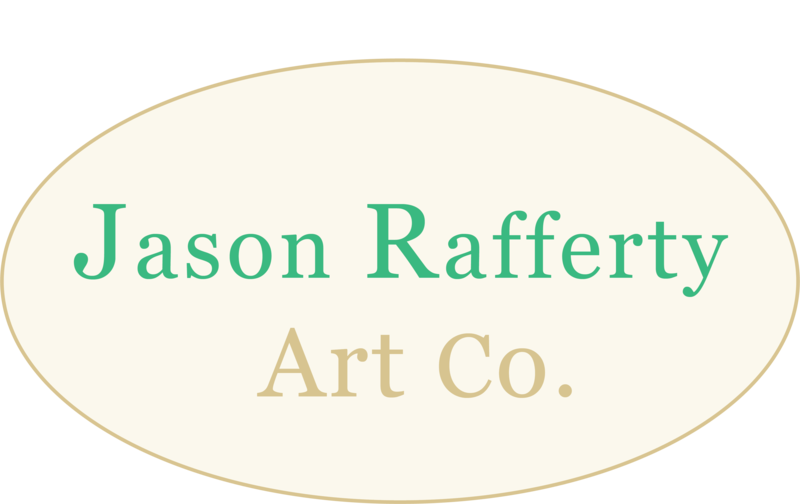 Jason uses the finest quality oil paints and constructs his paintings archivally, with longevity in mind. He is scrupulous with quality checking, and is focused on delivering you a quality piece of art that can be enjoyed for many years.